The kids asked to make a raft. 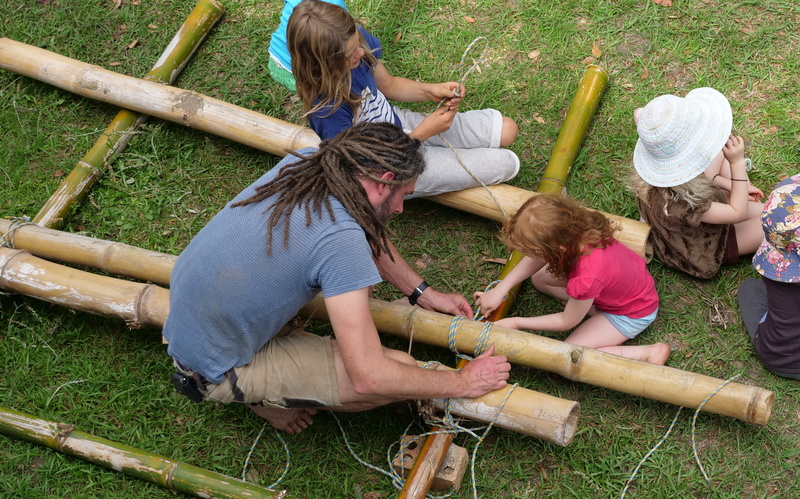 With a bit of planning, Nic from the Valla Permaculture Farm jumped on board to help the kids engineer a raft of their own. Over the weeks leading up, there was some interesting discussion around what materials would floats and how much body weight would sink a particular design. 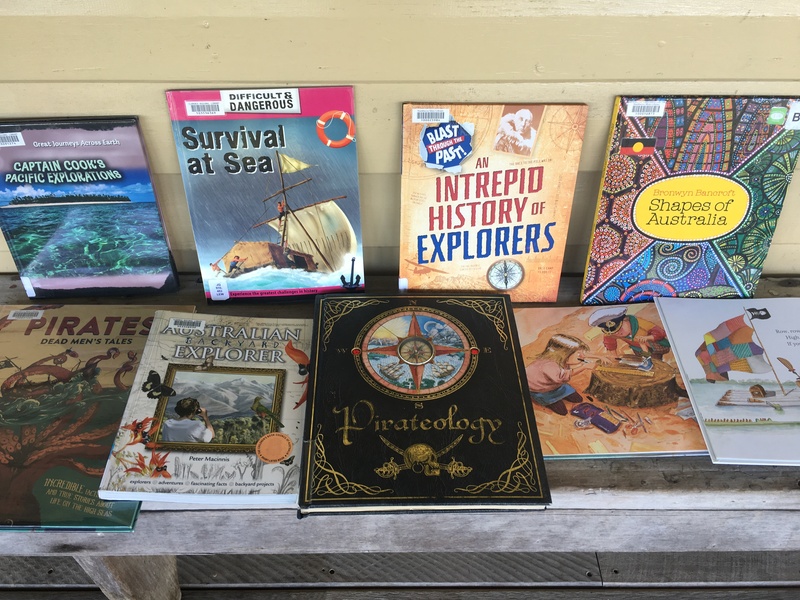 We sought out info and inspiration at the local library, which raised discussions of navigational equipment, different boats from around the world and across the ages, and the different coloured masts and shapes of boats. We looked at everything from pirates to Vikings, to indigenous canoes and explorers. 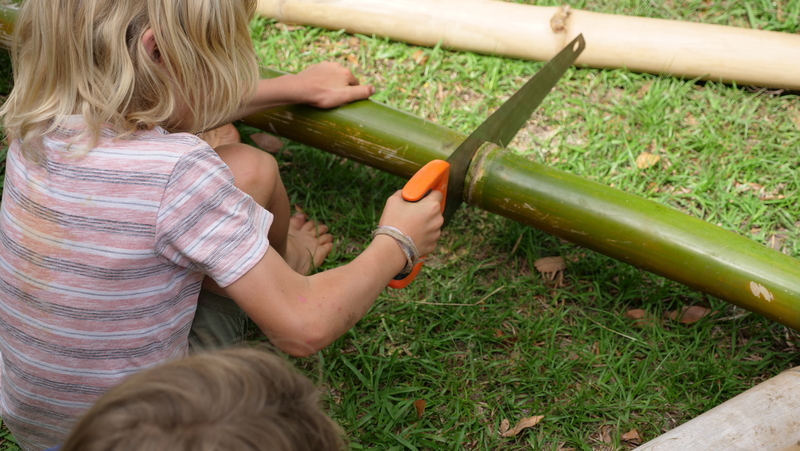 One child found a large bamboo tree and we asked the farmer if we could take some for our project.... and then it was time to build something that might float. 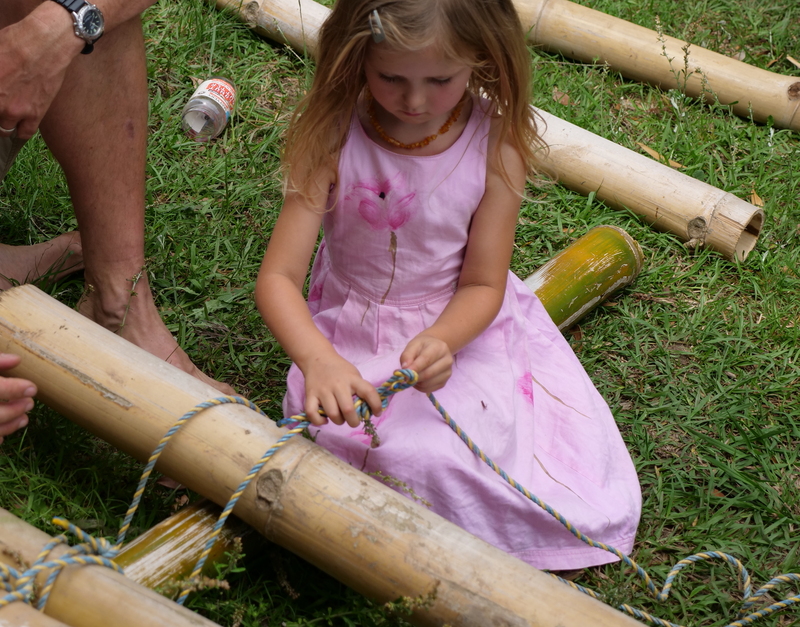 The children learned to use all the tools and tie knots, taking it in turns to have a go at the aspects they were drawn to. 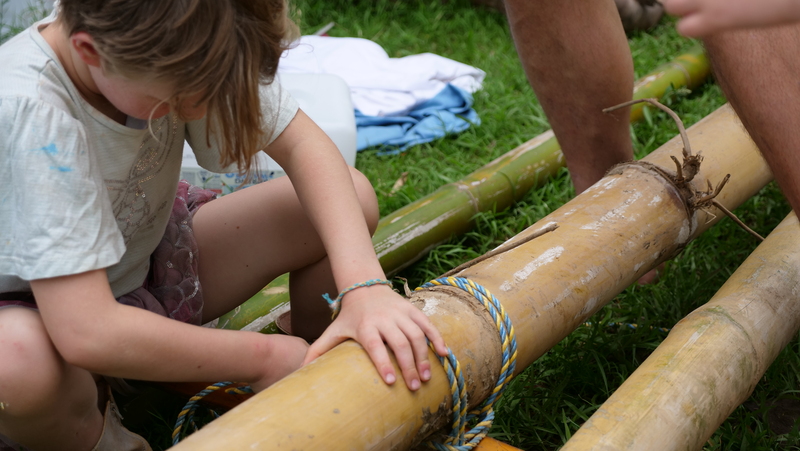 The kids pondered: how many children / how much weight will it hold? 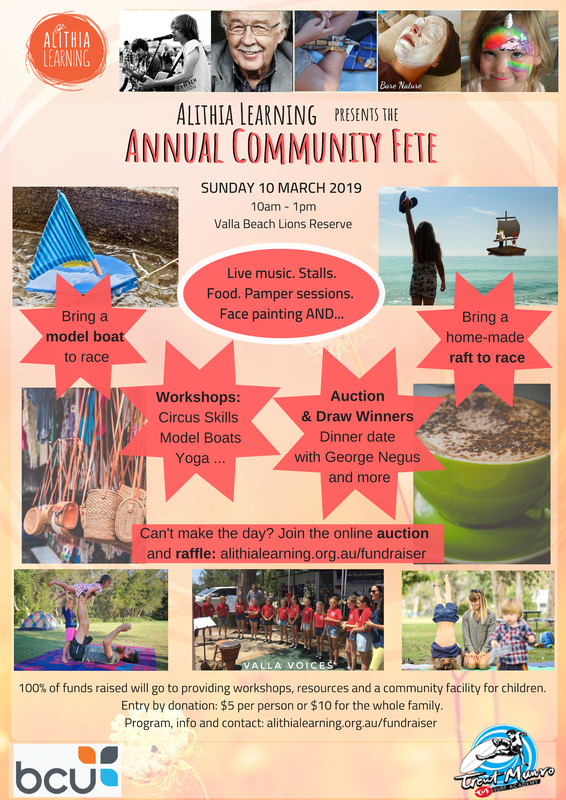 We are excited to test it! 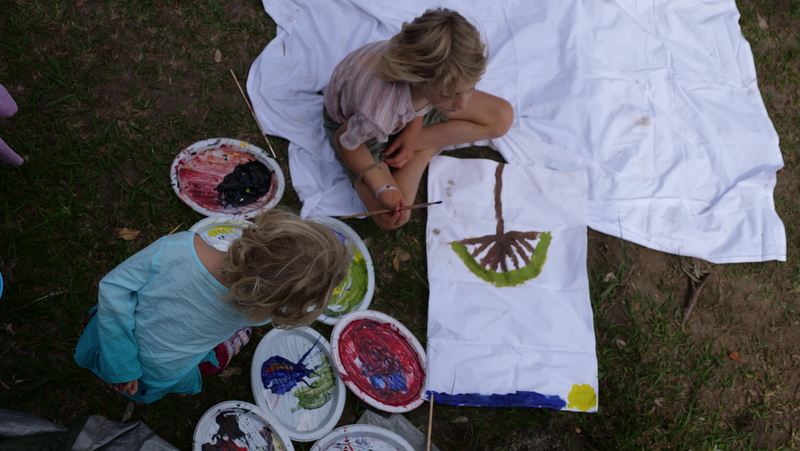 It was a busy time, as they moved between raft making and painting masts (pillow cases for smaller flags and a sheet for the collaborative mast). Children enjoyed the texture of their new canvas and mixing the colours for a desired effect on this material. Some of the older children asked to learn to use the staple gun. 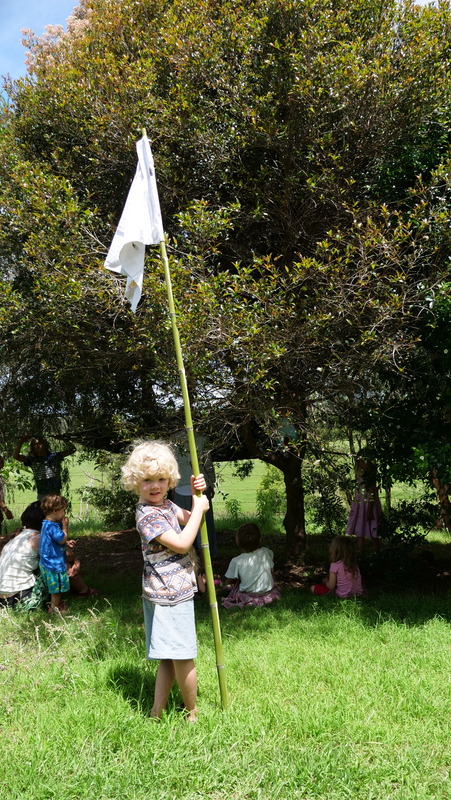 They mastered the technique quickly and worked out ways to join the painted flags to bamboo poles for the younger ones. 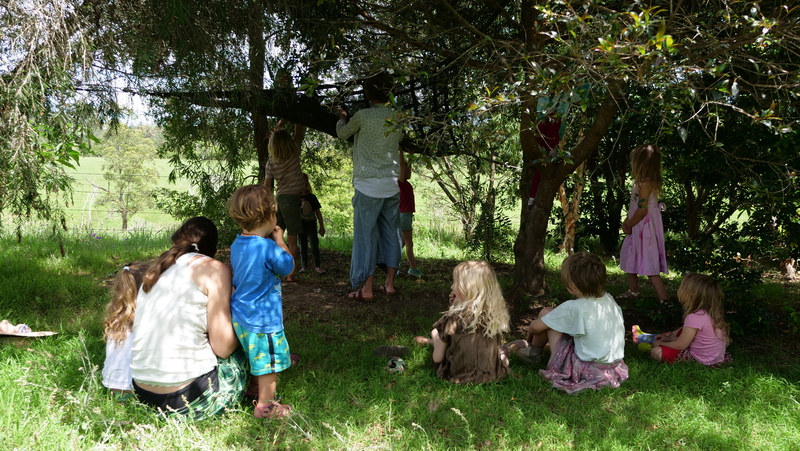 Afterwards, the children gravitated towards the trees and began hanging a cargo net to revisit a game they invented last week. The kids thought to safety-test the net before lifting the younger ones. 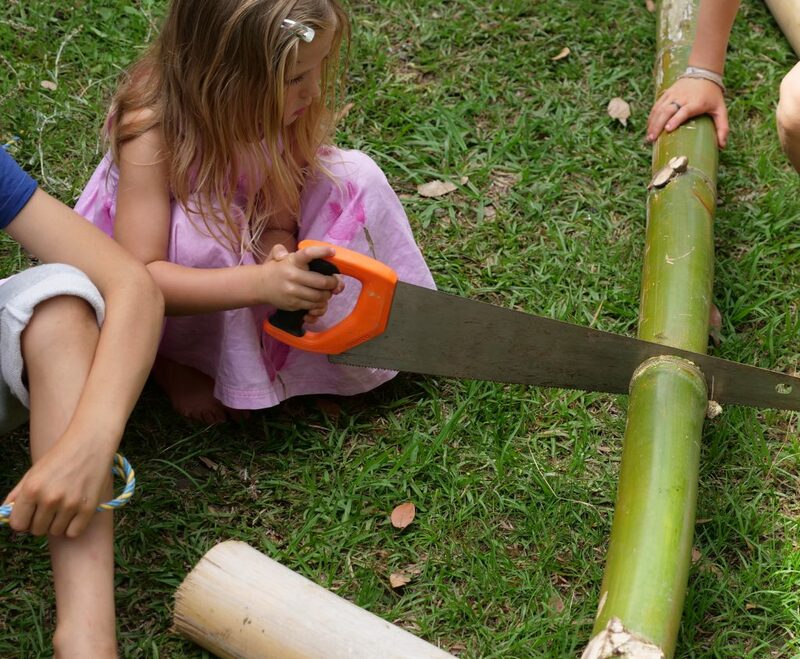 They problem solved, collaborated and learned from one-another, without input from an adults perspective (unless asked). 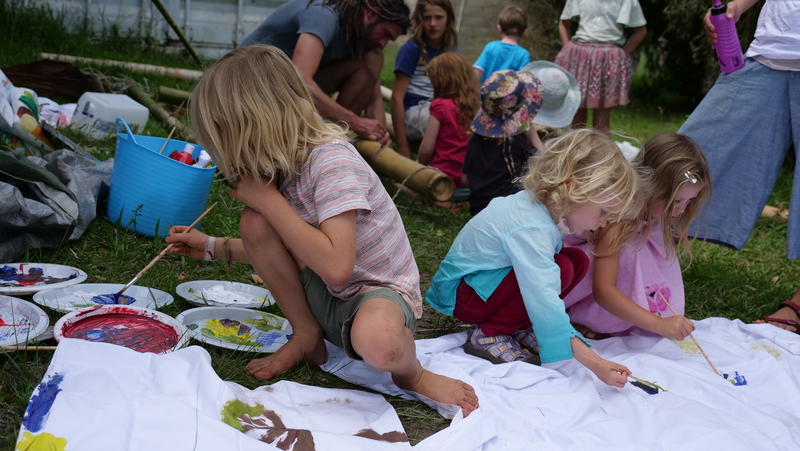 The adults are rarely involved in these play activities, unless asked to come over and hold something by the children. 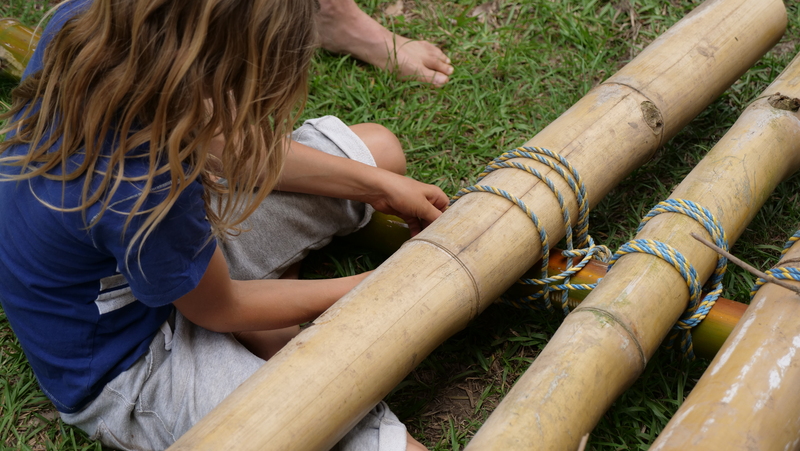 One question the children asked was "how much weight does this cargo net hold?" The answer is 250kg, but how many children at a time is that? The raft project has impacted on their thinking and provided a question that was not asked the week before.